With a trip to Chicago on our calendar for this spring, I'm lining up activities and adventures: The Field Museum for the kids, Michigan Avenue shopping for the ladies and maybe Second City for evening entertainment. All those attractions and more are in TripSketch, a digital guidebook listing hotels, restaurants, tours and popular attractions in more than 150 cities around the world. The profiles include an address, phone number, prices, hours of operation and a map. One click adds the profile to your TripSketch Planner. You can use the free service on the TripSketch website or download and install versions for mobile phones and devices. 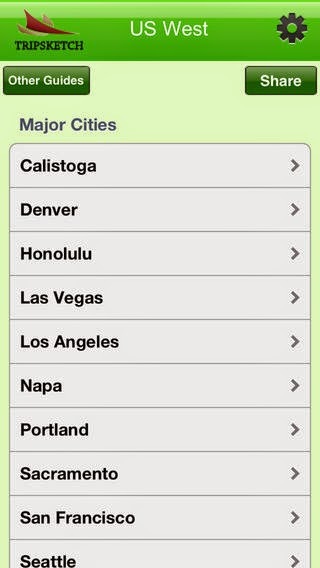 The TripSketch Mobile page lists links for various regions such as the US West, Central Europe or Asia. The mobile versions are available for Apple iOS or Android devices.